INVEST | Gainesville FL Realtors & Property Managers. EXIT Realty Producers. To attend this meeting, you must RSVP as we only have 25 seats available. It's free for all paid and trial members. It is $10 for unpaid members and $20 for the general-public. Our Investor Workshops are held on the second, third and fourth Saturday of each month at Exit Realty Producers located at 3600 NW 43rd St, Ste. G-1 Gainesville, FL. 2nd Saturday of the month starts at 10:00 am with a presentation from an Industry related guest speaker. At 11:15am we travel to various preselected properties and conduct thorough on-sight property evaluations. The addresses of the site visits will be emailed to the paid and trial members only, the Friday before the Saturday workshop. 3rd Saturday of the month starts 10:00 am with a 60 minute “New Investor” video presentation. At 11:00 am we play the “Cash Flow Game” created by Robert Kiyosaki. This popular board game helps new and experienced investors to fine tune their real estate investing skills. At 1:15pm we travel to various pre-selected properties and conduct thorough on-sight property evaluations. The addresses of the site visits will be emailed to the paid and trial members only, the Friday before the Saturday workshop. The goal we set for Invest Gainesville members is to gain experience on how to evaluate investment properties within 15 minutes and determine a reasonable value before making an offer. 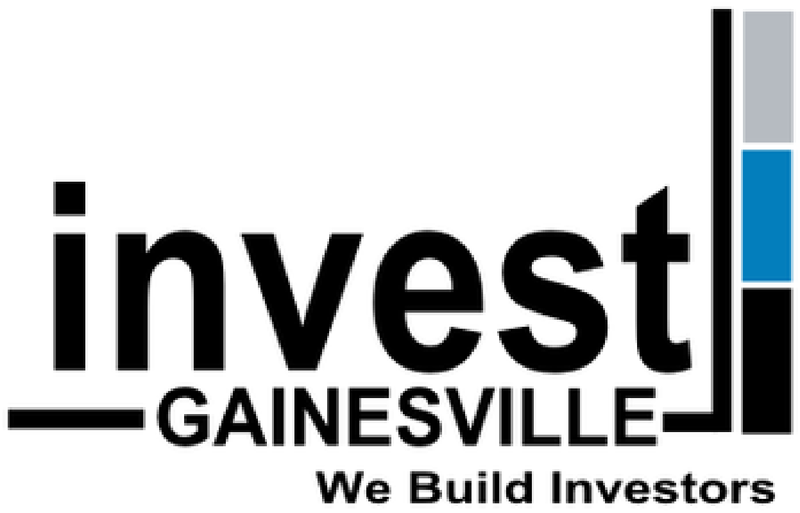 Membership for Invest Gainesville is $120 per year. However Invest Gainesville is FREE for a first-time visitor which includes one Social Meet-up, the video presentation, and site visit. After that, you must be a paid member to attend the Invest Gainesville Social and to have access to our site visit addresses.